So many emotions this week! Laughter, anger, sadness and joy! Click here to watch the vlog or see the video below. As I came into the flat from a 5-day trip travelling the country, I returned to a fly infestation. It was all fun and games until anyone wanted to use the bin. Long story short, but I took the bins out just before I left and so I refused to take them out again as I hadn't been here. Maybe petty but by this point it was the simple ethics of it. Anyway, Clare was hilarious when she found a video article online saying flies were common in house plants so she decided at 11pm at night to get rid of ALL the house plants. I'm sure to most people she looked like a mad woman but I thought it was hilarious and given the fact I'd had a disaster with the washing machines - AGAIN! - I was fuming. To top the night off, I dropped my glass all over my bedroom carpet. Luckily, it was empty but still, it was the first thing I'd broken in 4 years! Not expecting to see this post right? I don't normally post on a Saturday, let alone 9am! Summer is a crazy time for bloggers. With so many companies reaching out for collaborations and many bloggers having extra time to write posts, there's just too many posts to schedule so for at least the month August (but starting tonight! 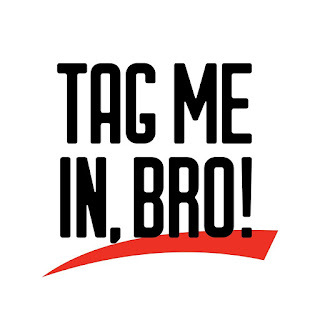 ), I will be upping my schedule to include TAG Sunday's! 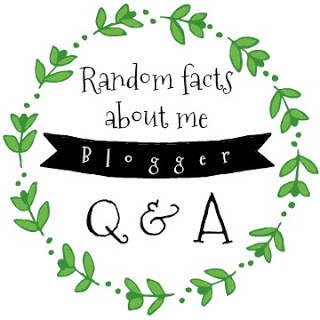 You can learn a little more about me but also see some other posts from some amazing friends and fellow bloggers too. Stay tuned for tonight. I can't wait to share them all with you. Project Mc² is a Netflix Original TV show based on teenage spy McKeyla, who teams up with three other super-smart girls to become secret agents who use their science and tech skills to save the day. I love that the show stands for girls using their brains to do something good. It's such a great message for young girls and I'm more than happy for my niece to watch it! The franchise have developed multiple unique gifts which closely resemble items used in the show itself. Today I'm reviewing one of their biggest products, the Project Mc² Ultimate Spy Bag which retails for £39.99 so it is quite a pricey item but makes the perfect birthday or even Christmas gift. In my 22 years, I've missed 2 Great Yorkshire Show's. Last year I was lucky enough to go for all3 days but this year, just 1. What a special year, celebrating 160 years! Like every year, I try to go as much as possible. There was a short time, this year, when I thought I wouldn't get to go but amazingly, we had two SDL days in a row so I managed to get home and spend the first two days at the Great Yorkshire Show. A few years ago, I managed to go to all 3 days and I absolutely loved it! See all the vlogs from then here (Day 1, Day 2 and Day 3) or even watch a flashback video from 2014! One of my favourite things about the GYS is all the animals. I love seeing their displays and them turned out for their competitions. The best thing is that the time of year means that many of the animals have babies because it's just after Spring...especially the cows! The Incredibles 2 is a film many of us have been waiting for years to be released. I remember going to the cinema to see the first and loving every second. It quickly became one of my firm favourites but it wasn't until a second was announced that I re-watched it and became obsessed all over again. It may be 14 years later for us but for the Parr family, the film picks up exactly where the last one finished. To the second. I loved it! I love that it starts exactly where the last one ended and it remains the exact same types of graphics and the same voices. Interestingly, it doesn't exactly show the story in the same way and instead it's from the perspective of Violet's love interest.